The DCOM technology the OPC technology is based on uses reserved system port 135. For servers and clients to run normally, you should permit these connections in your firewall. If the client and the server are located on different computers, firewall configuration is required. 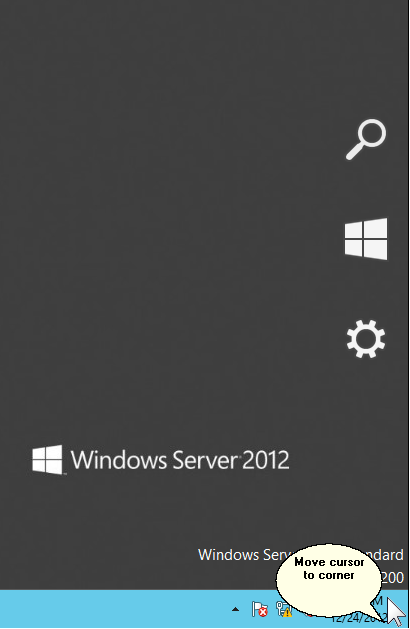 Below you can see an example of configuring the standard firewall in Windows 8. If the client and the server are used on one computer, there is no need to configure the firewall. For Windows 8 users. 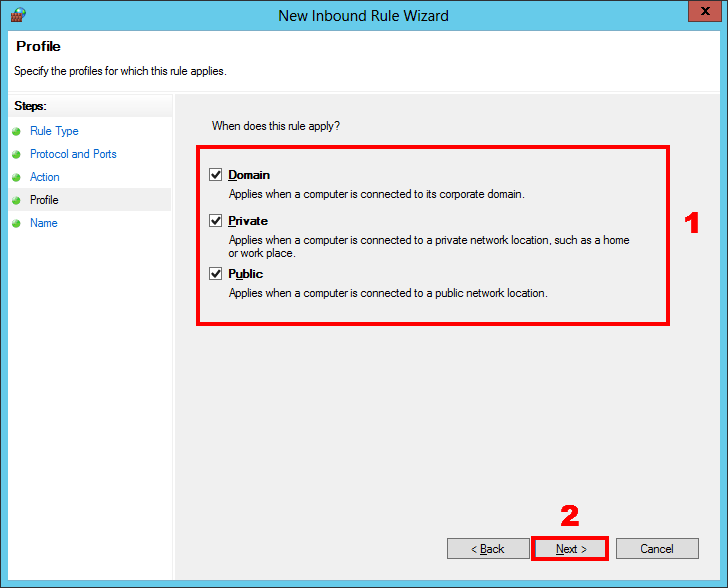 To open the firewall management console, you should move the mouse pointer to one of the desktop corners. 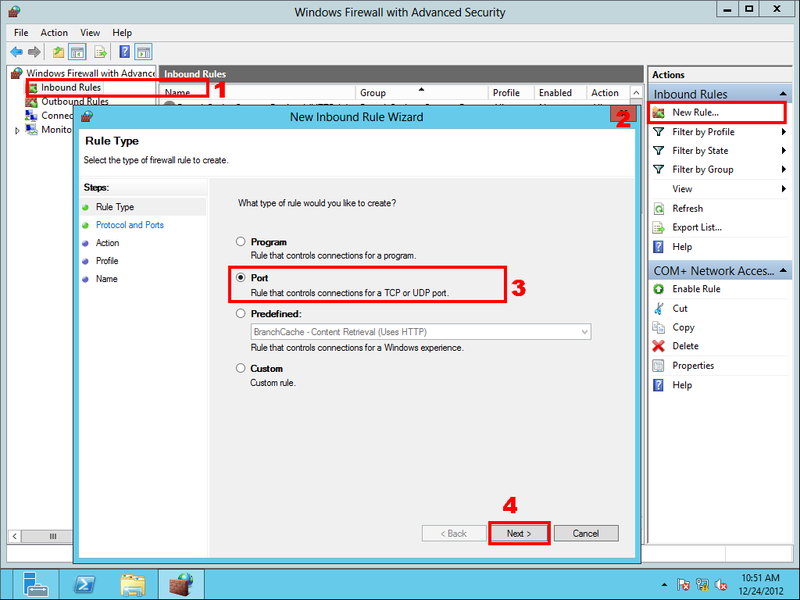 Select Settings - Control Panel - System and Security - Windows Firewall - Advanced Settings in the sidebar or run it from the command line (Win + R) using the "firewal.cpl" command. 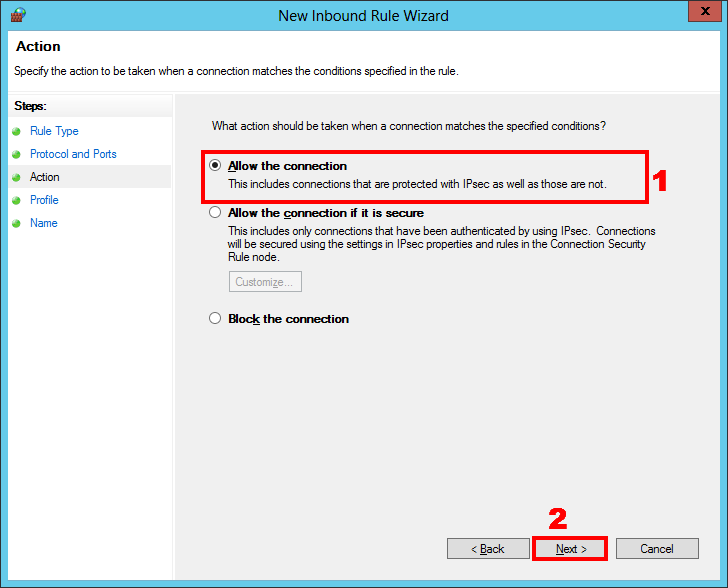 By default, Windows blocks inbound connections from other computer. For OPC clients to be able to connect to OPC servers on this computer, you should add rules for incoming DCOM connections. 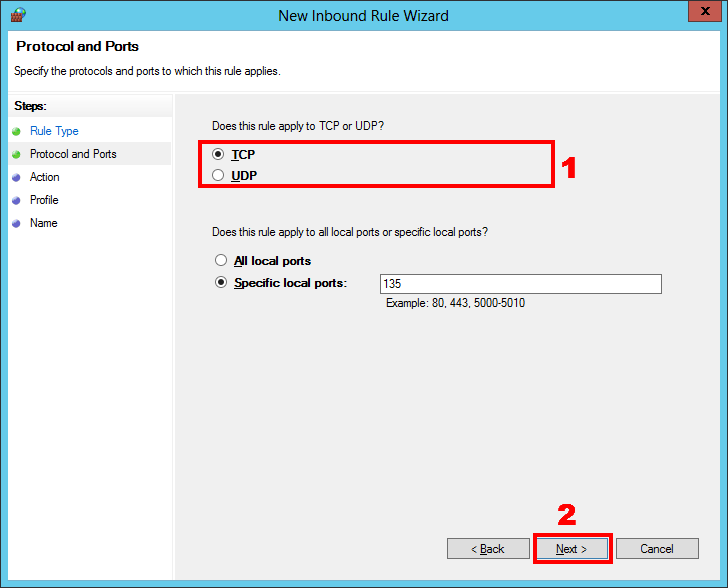 Repeat the steps above for the UDP protocol (fig. 13). You need to permit activity for every OPC server running on this computer. Also, you should permit network activity for the OpcEnum system service that allows remote clients to receive the list of servers from this computer. 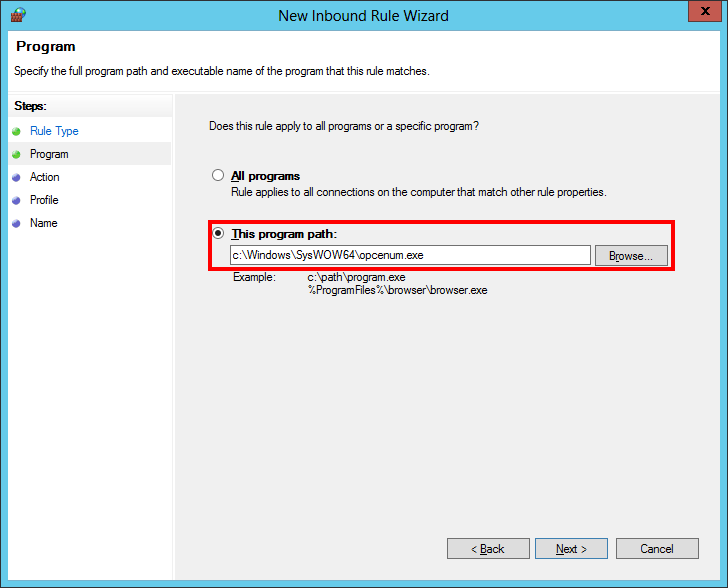 The steps necessary to add a rule are similar to those specified above. Only the type of rule should be Program and you should specify the location of the executable program file in the next step. For example, when you add a rule on a 64-bit operating system for OpcEnum, you should specify the path C:\Windows\SysWOW64\OpcEnum.exe, while on a 32-bit operating system it will be C:\Windows\System32\OpcEnum.exe (fig. 17-18). 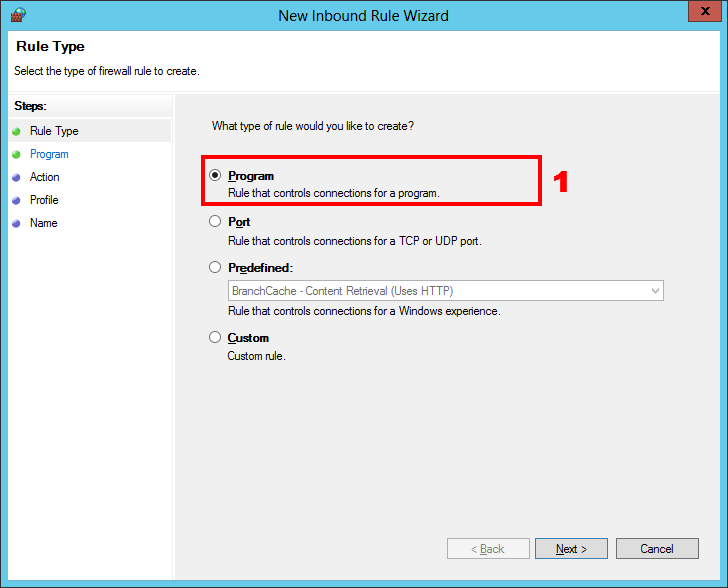 Select the Program rule type. You can select the program on the disk using the Browse button. 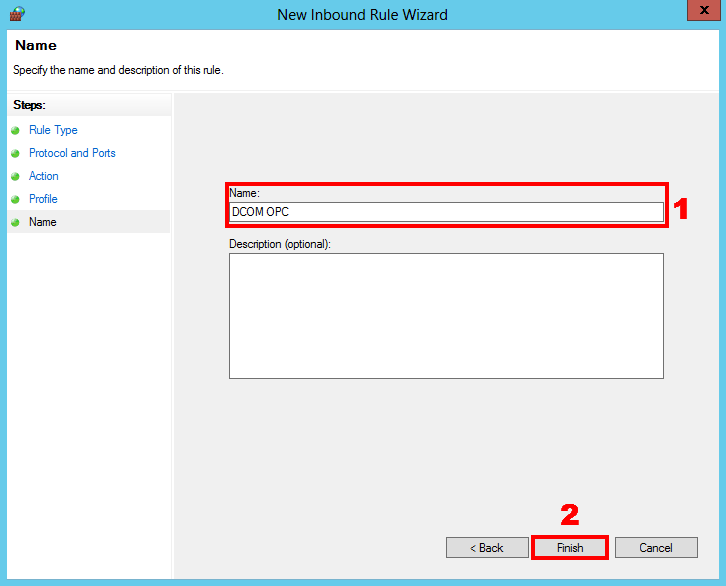 You should repeat these steps to add a rule for every OPC server.